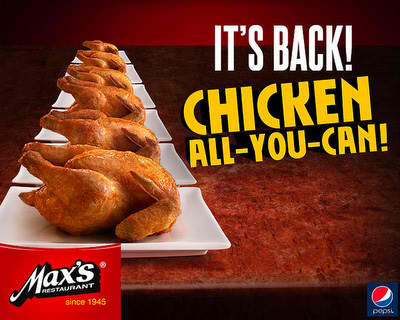 Max's launched its Chicken All-You-Can promo last year, and thankfully, they did it again this year. Overcoming the challenge of crowds and finite stomachs, we managed to score a seat in one of the better Max's branches we could find (read: not too many people). For only P199, the Max's Chicken All-You-Can is definitely a great deal. To find out more about this food "adventure" and know how much chicken we consumed, click here for the full story at the Bloggers Buffet website.